As the biggest beauty trend going, false eyelashes are where it’s at. If you can work them well with slick eyeliner and mascara you’ve got a model look right there. But not every eyelash trend is one you’ll want to be caught jumping on, even if they are gracing the runways of Milan. 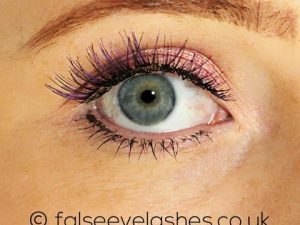 If adhesive irritates your eyes or you don’t have time to be messing about with glue, you need magnetic eyelashes in your life. They are truly the way to thicker, gorgeous, natural-looking lashes that have staying power for a night out. Each pack comes with two sets – one for the upper and one for the lower lashes for a fierce flutter. Each contains tiny magnets – invisible to people gazing at you – to help them stay in place. Genius. Who wants to apply a strip of false eyelashes complete with tiny beads, that are so heavy they’ll most likely fall off just as you’re about to drink your cocktail? Add to this some over-the-top eyeliner and eyeshadow and you’ve got a drag queen look right there, which is great, if that’s the look you’re going for. Reel in the temptation to add extensions with jewels and if you do love a bit of bling, instead opt for a full volume lash and add some silver or gold eyeliner. For natural-looking luscious lashes that are romantic and soft, wispy eyelashes are required. The look is soft and dreamy, so you could even forget about applying mascara on top of these. By adding more of the effect to the outer lashes, you can create the illusion of the eye drawing upwards, which has the same effect as winged eyeliner. 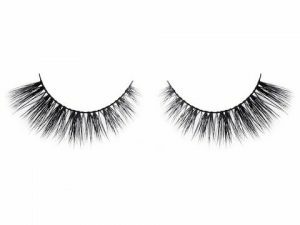 Mink eyelashes generally look like your own but just have an extra bit of length for a more compact finish. 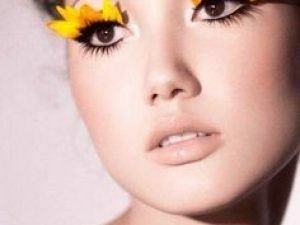 Great if you want to make an impact but so impractical – it’s the flower (yes, petal) eyelashes. Basically, it’s false eyelashes that have petals attached to them, so they probably feel weird and block your vision a lot. Some people have even picked actual petals and been surprised when they’ve gone brown or gone droopy. For eye-popping boldness, keep clicking past the black and brown lashes until you reach some subtle shades. Available in plum, blue and green to name a few, these make your natural eye shade stand out a mile! 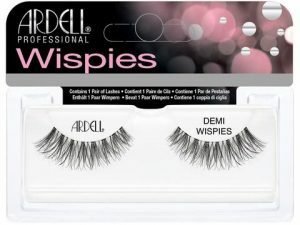 Ardell’s Colour Impact Lashes Demi Wispies are perfect for achieving a luxurious, striking lash look. Featuring a blend of dense lash clusters and finer lash strands, this stunning style (pictured in plum) adds dimension and volume, whilst elongating the eye with a gradual increase in length. « Previous post Is This The Craziest Christmas Office Desk You've Ever Seen?